but we can also look at them as they belong to the realm of ethics—as having to do with how we treat one another in everyday life. I heard this fascinating interview on the radio yesterday on etiquette, the true aims of Emily Post, and the odd place of etiquette in American culture. 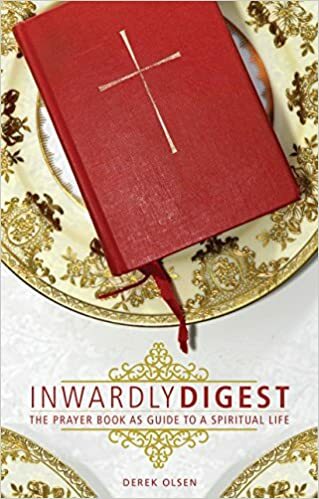 I bring it up not only because it’s quite interesting but because it occurred to me that there are some very close parallels between etiquette and liturgy. Just as etiquette helps structure our social relationships, liturgy helps us structure our religious ones. This entry was posted in Liturgy, Spirituality on December 4, 2008 by Derek A. Olsen. We now know that Emily Post was not really about the proper fork for each course, rather she was about kind and generous behavior in everyday life. We all need to remember that etiquette or manners are really what we have already been taught – do ubto others as you would have others do unto you. In general I think 3 is the reason for manners and etiquette. A “please” or “thank you”, a thanks sent by post, etc. all serve to courtesy, and hence, humanity. I do think that from time to time revisions of such are in order, however. For example, someone was complaining the other day of all the young men in chapel who didn’t take off their hats. Well, yes, and I still take mine off, hailing as my family does from the South not too many generations ago. But, that custom is a dual-edged sword containing within its doing implicitly some measure of how we measured the worth of men and women before God. So, it’s not necessarily clear that this custom is any longer the most respectful and reverant, at least to me. I’ve also known those who use manners and etiquette in such a way to put down others with kindness, indeed as a weapon of sorts, missing the spirit in their doings. One things of the sweet-as-sugar-yet-sachharine-tasting comments of my grandmother that were really insults.